I think slow-roasting tomatoes is a fabulous way to intensify their flavor. But, this process also evaporates the moisture, leaving a tomato that is similar to a sun-dried tomato. 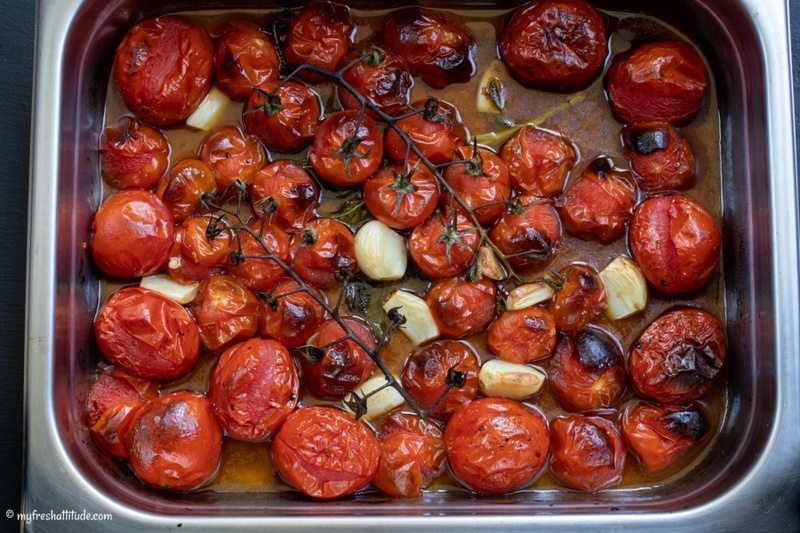 Roasting tomatoes at a high temperature for a shorter period also intensifies their flavors, but it will also produce more liquid in the baking tray and the tomatoes will remain moist. This second method is perfect for making a quick sauce. Just add some fresh herbs, a bit of balsamic vinegar, extra virgin olive oil and a healthy amount of garlic to create the base of a rich sauce that is perfect with pasta or gnocchi.